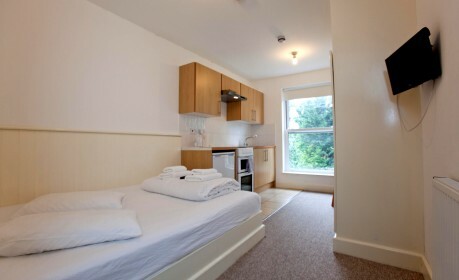 Welby Studios is a family owned business specialising in renting self-contained studio flats for short term. We have a portfolio of over 300 studios with 30 years experience run through 3 generations. We are dedicated to providing first class customer service to all our guests and we welcome you from all over the world. The secret to our success is the flexibility we provide whilst still maintaining a high standard of service at great prices. 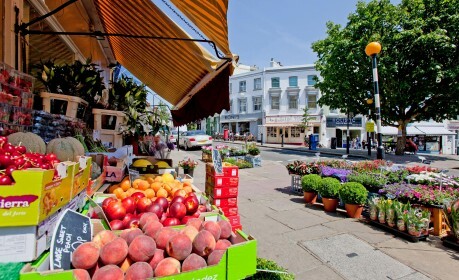 Our selection of studios are situated in a beautiful tree-lined area of North West London called Belsize Park (Zone 2). All of our studios are within 10-20 minutes of central London via transport links such as buses, tube (underground) or trains. Both Belsize Park Station (Northern Line) & Swiss Cottage Station (Jubilee line) are within a few minutes walking distance. We are proud of London city and want to ensure that all visitors, whether they are here for business or pleasure, have a comfortable, secure and enjoyable stay. I stayed here with my wife and daughter of 4 years old and I thought it was fantastic. I really struggled to find short term accommodation which was not a hotel. These guys really helped me out especially with my daughter. I found the apartment to be clean and comfortable. I recommend this address that combines the services of a hotel with the qualities of a studio (fridge, sink, stove , TV ... ) . It was very pleasant to stay there. The staff was very nice and I really enjoyed my stay there. Definitely booking a room with them again when I go back to London.